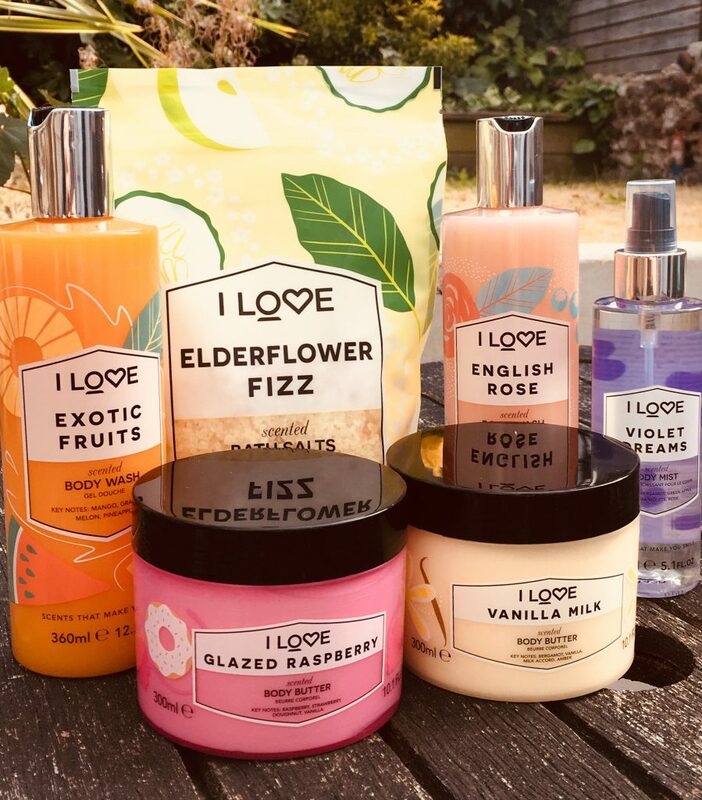 I Love Cosmetics is a brand I’m sure you’ll know from their fresh, fun and affordable range of bath and body products. I’ve bought their stuff lots of times for the teenagers of the household who love their chocolate-scented products. 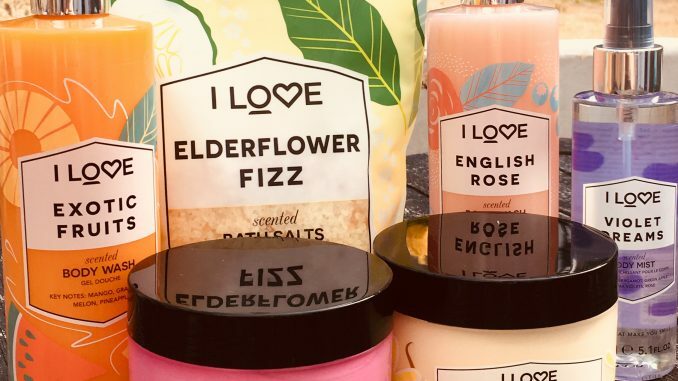 The new suite of scents from I Love Cosmetics is a little more grown up, but not too much. You can get floral with Violet Dreams, get fruity with Glazed Raspberry and Exotic Fruits or indulge in the classy English Rose, Vanilla Milk and Elderflower. Each of the six signature scents has its own full range of bath salts, body washes, body butters and body mists. Keep it simple with the same scent in different products, or mix it up across the range. As I am more of a maximalist than a minimalist, I’ve been mixing and matching. The English Rose Body Wash pairs well with the Vanilla Milk Body Butter, and the Violet Dreams Body Mist is great for fighting with your teenager over who gets to smell most like a Parma Violet. All of them smell really fresh and delicious – just right for summer, or for keeping summer memories alive once we’re in the depths of winter. And hey, we can be scent twinsies because one UK reader will get the chance to try out the entire range too – check below for giveaway details. Make sure that the email address you have registered with Rafflecopter is one you check regularly, so I can contact you. Closing at midnight on Tuesday 14th August 2018. One winner will be chosen at random and the prize sent out as soon as possible after that.